Galileo Galilei was a Italian physicist, mathematician, astronomer, and philosopher who played a major role in the Scientific Revolution. His achievements include improvements to the telescope and consequent astronomical observations, and support for Copernicanism. Galileo has been called the "father of modern observational astronomy", the "father of modern physics",the "father of science", and "the Father of Modern Science." The motion of uniformly accelerated objects, taught in nearly all high school and introductory college physics courses, was studied by Galileo as the subject of kinematics. 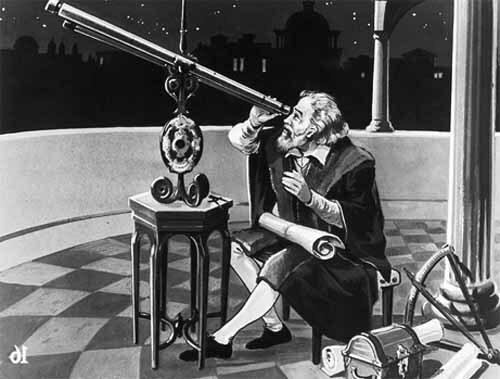 His contributions to observational astronomy include the telescopic confirmation of the phases of Venus, the discovery of the four largest satellites of Jupiter, named the Galilean moons in his honour, and the observation and analysis of sunspots. 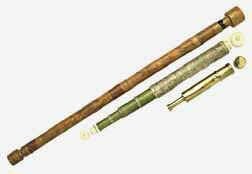 Galileo also worked in applied science and technology, improving compass design. His formulation of (circular) inertia, the law of falling bodies, and parabolic trajectories marked the beginning of a fundamental change in the study of motion. His insistence that the book of nature was written in the language of mathematics changed natural philosophy from a verbal, qualitative account to a mathematical one in which experimentation became a recognized method for discovering the facts of nature. Finally, his discoveries with the telescope revolutionized astronomy and paved the way for the acceptance of the Copernican heliocentric system, but his advocacy of that system eventually resulted in an Inquisition process against him. 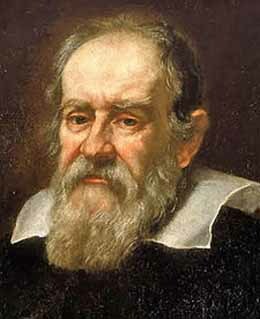 Galileo was born in Pisa, Tuscany, on February 15, 1564, the oldest son of Vincenzo Galilei, a musician who made important contributions to the theory and practice of music and who may have performed some experiments with Galileo in 1588-89 on the relationship between pitch and the tension of strings. The family moved to Florence in the early 1570s, where the Galilei family had lived for generations. In his middle teens Galileo attended the monastery school at Vallombrosa, near Florence, and then in 1581 matriculated at the University of Pisa, where he was to study medicine. However, he became enamoured with mathematics and decided to make the mathematical subjects and philosophy his profession, against the protests of his father. Galileo then began to prepare himself to teach Aristotelian philosophy and mathematics, and several of his lectures have survived. In 1585 Galileo left the university without having obtained a degree, and for several years he gave private lessons in the mathematical subjects in Florence and Siena. During this period he designed a new form of hydrostatic balance for weighing small quantities and wrote a short treatise, La bilancetta ("The Little Balance"), that circulated in manuscript form. He also began his studies on motion, which he pursued steadily for the next two decades. In 1588 Galileo applied for the chair of mathematics at the University of Bologna but was unsuccessful. His reputation was, however, increasing, and later that year he was asked to deliver two lectures to the Florentine Academy, a prestigious literary group, on the arrangement of the world in Dante's Inferno. He also found some ingenious theorems on centres of gravity (again, circulated in manuscript) that brought him recognition among mathematicians and the patronage of Guidobaldo del Monte (1545-1607), a nobleman and author of several important works on mechanics. As a result, he obtained the chair of mathematics at the University of Pisa in 1589. There, according to his first biographer, Vincenzo Viviani (1622-1703), Galileo demonstrated, by dropping bodies of different weights from the top of the famous Leaning Tower, that the speed of fall of a heavy object is not proportional to its weight, as Aristotle had claimed. The manuscript tract De motu (On Motion), finished during this period, shows that Galileo was abandoning Aristotelian notions about motion and was instead taking an Archimedean approach to the problem. But his attacks on Aristotle made him unpopular with his colleagues, and in 1592 his contract was not renewed. His patrons, however, secured him the chair of mathematics at the University of Padua, where he taught from 1592 until 1610. Although Galileo's salary was considerably higher there, his responsibilities as the head of the family (his father had died in 1591) meant that he was chronically pressed for money. His university salary could not cover all his expenses, and he therefore took in well-to-do boarding students whom he tutored privately in such subjects as fortification. He also sold a proportional compass, or sector, of his own devising, made by an artisan whom he employed in his house. Perhaps because of these financial problems, he did not marry, but he did have an arrangement with a Venetian woman, Marina Gamba, who bore him two daughters and a son. In the midst of his busy life he continued his research on motion, and by 1609 he had determined that the distance fallen by a body is proportional to the square of the elapsed time (the law of falling bodies) and that the trajectory of a projectile is a parabola, both conclusions that contradicted Aristotelian physics. At this point, however, Galileo's career took a dramatic turn. In the spring of 1609 he heard that in the Netherlands an instrument had been invented that showed distant things as though they were nearby. By trial and error, he quickly figured out the secret of the invention and made his own three-powered spyglass from lenses for sale in spectacle makers' shops. Others had done the same; what set Galileo apart was that he quickly figured out how to improve the instrument, taught himself the art of lens grinding, and produced increasingly powerful telescopes. In August of that year he presented an eight-powered instrument to the Venetian Senate (Padua was in the Venetian Republic). He was rewarded with life tenure and a doubling of his salary. Galileo was now one of the highest-paid professors at the university. 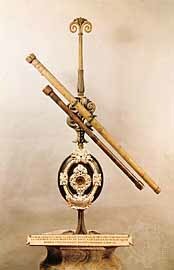 In the fall of 1609 Galileo began observing the heavens with instruments that magnified up to 20 times. In December he drew the Moon's phases as seen through the telescope, showing that the Moon's surface is not smooth, as had been thought, but is rough and uneven. In January 1610 he discovered four moons revolving around Jupiter. He also found that the telescope showed many more stars than are visible with the naked eye. These discoveries were earthshaking, and Galileo quickly produced a little book, Sidereus Nuncius (The Sidereal Messenger), in which he described them. He dedicated the book to Cosimo II de Medici (1590-1621), the grand duke of his native Tuscany, whom he had tutored in mathematics for several summers, and he named the moons of Jupiter after the Medici family: the Sidera Medicea, or Medicean Stars Galileo was rewarded with an appointment as mathematician and philosopher of the grand duke of Tuscany, and in the fall of 1610 he returned in triumph to his native land. Galileo was now a courtier and lived the life of a gentleman. Before he left Padua he had discovered the puzzling appearance of Saturn, later to be shown as caused by a ring surrounding it, and in Florence he discovered that Venus goes through phases just as the Moon does. Although these discoveries did not prove that the Earth is a planet orbiting the Sun, they undermined Aristotelian cosmology: the absolute difference between the corrupt earthly region and the perfect and unchanging heavens was proved wrong by the mountainous surface of the Moon, the moons of Jupiter showed that there had to be more than one centre of motion in the universe, and the phases of Venus showed that it (and, by implication, Mercury) revolves around the Sun. As a result, Galileo was confirmed in his belief, which he had probably held for decades but which had not been central to his studies, that the Sun is the centre of the universe and that the Earth is a planet, as Copernicus had argued. Galileo's conversion to Copernicanism would be a key turning point in the scientific revolution. After a brief controversy about floating bodies, Galileo again turned his attention to the heavens and entered a debate with Christoph Scheiner (1573-1650), a German Jesuit and professor of mathematics at Ingolstadt, about the nature of sunspots (of which Galileo was an independent discoverer). This controversy resulted in Galileo's Istoria e dimostrazioni intorno alle macchie solari e loro accidenti ("History and Demonstrations Concerning Sunspots and Their Properties," or "Letters on Sunspots"), which appeared in 1613. Against Scheiner, who, in an effort to save the perfection of the Sun, argued that sunspots are satellites of the Sun, Galileo argued that the spots are on or near the Sun's surface, and he bolstered his argument with a series of detailed engravings of his observations. Galileo's increasingly overt Copernicanism began to cause trouble for him. In 1613 he wrote a letter to his student Benedetto Castelli (1528-1643) in Pisa about the problem of squaring the Copernican theory with certain biblical passages. Inaccurate copies of this letter were sent by Galileo's enemies to the Inquisition in Rome, and he had to retrieve the letter and send an accurate copy. Several Dominican fathers in Florence lodged complaints against Galileo in Rome, and Galileo went to Rome to defend the Copernican cause and his good name. Before leaving, he finished an expanded version of the letter to Castelli, now addressed to the grand duke's mother and good friend of Galileo, the dowager Christina. In his Letter to the Grand Duchess Christina, Galileo discussed the problem of interpreting biblical passages with regard to scientific discoveries but, except for one example, did not actually interpret the Bible. That task had been reserved for approved theologians in the wake of the Council of Trent (1545-63) and the beginning of the Catholic Counter-Reformation. But the tide in Rome was turning against the Copernican theory, and in 1615, when the cleric Paolo Antonio Foscarini (c. 1565-1616) published a book arguing that the Copernican theory did not conflict with scripture, Inquisition consultants examined the question and pronounced the Copernican theory heretical. Foscarini's book was banned, as were some more technical and nontheological works, such as Johannes Kepler's Epitome of Copernican Astronomy. Copernicus's own 1543 book, De revolutionibus orbium coelestium libri vi ("Six Books Concerning the Revolutions of the Heavenly Orbs"), was suspended until corrected. Galileo was not mentioned directly in the decree, but he was admonished by Robert Cardinal Bellarmine (1542-1621) not to "hold or defend" the Copernican theory. An improperly prepared document placed in the Inquisition files at this time states that Galileo was admonished "not to hold, teach, or defend" the Copernican theory "in any way whatever, either orally or in writing." Galileo was thus effectively muzzled on the Copernican issue. Only slowly did he recover from this setback. Through a student, he entered a controversy about the nature of comets occasioned by the appearance of three comets in 1618. It is written in the language of mathematics, and its characters are triangles, circles, and other geometric figures without which it is humanly impossible to understand a single word of it. He also drew a distinction between the properties of external objects and the sensations they cause in us - i.e., the distinction between primary and secondary qualities. Publication of Il saggiatore came at an auspicious moment, for Maffeo Cardinal Barberini (1568-1644), a friend, admirer, and patron of Galileo for a decade, was named Pope Urban VIII as the book was going to press. Galileo's friends quickly arranged to have it dedicated to the new pope. In 1624 Galileo went to Rome and had six interviews with Urban VIII. Galileo told the pope about his theory of the tides (developed earlier), which he put forward as proof of the annual and diurnal motions of the Earth. The pope gave Galileo permission to write a book about theories of the universe but warned him to treat the Copernican theory only hypothetically. The book, Dialogo sopra i due massimi sistemi del mondo, tolemaico e copernicano (Dialogue Concerning the Two Chief World Systems, Ptolemaic & Copernican), was finished in 1630, and Galileo sent it to the Roman censor. Because of an outbreak of the plague, communications between Florence and Rome were interrupted, and Galileo asked for the censoring to be done instead in Florence. The Roman censor had a number of serious criticisms of the book and forwarded these to his colleagues in Florence. After writing a preface in which he professed that what followed was written hypothetically, Galileo had little trouble getting the book through the Florentine censors, and it appeared in Florence in 1632. In the Dialogue's witty conversation between Salviati (representing Galileo), Sagredo (the intelligent layman), and Simplicio (the dyed-in-the-wool Aristotelian), Galileo gathered together all the arguments (mostly based on his own telescopic discoveries) for the Copernican theory and against the traditional geocentric cosmology. As opposed to Aristotle's, Galileo's approach to cosmology is fundamentally spatial and geometric: the Earth's axis retains its orientation in space as the Earth circles the Sun, and bodies not under a force retain their velocity (although this inertia is ultimately circular). But in giving Simplicio the final word, that God could have made the universe any way he wanted to and still made it appear to us the way it does, he put Pope Urban VIII's favorite argument in the mouth of the person who had been ridiculed throughout the dialogue. The reaction against the book was swift. The pope convened a special commission to examine the book and make recommendations; the commission found that Galileo had not really treated the Copernican theory hypothetically and recommended that a case be brought against him by the Inquisition. Galileo was summoned to Rome in 1633. During his first appearance before the Inquisition, he was confronted with the 1616 edict recording that he was forbidden to discuss the Copernican theory. In his defense Galileo produced a letter from Cardinal Bellarmine, by then dead, stating that he was admonished only not to hold or defend the theory. The case was at somewhat of an impasse, and, in what can only be called a plea bargain, Galileo confessed to having overstated his case. He was pronounced to be vehemently suspect of heresy and was condemned to life imprisonment and was made to abjure formally. There is no evidence that at this time he whispered, "Eppur si muove" ("And yet it moves"). It should be noted that Galileo was never in a dungeon or tortured; during the Inquisition process he stayed mostly at the house of the Tuscan ambassador to the Vatican and for a short time in a comfortable apartment in the Inquisition building. After the process he spent six months at the palace of Ascanio Piccolomini (c. 1590-1671), the archbishop of Siena and a friend and patron, and then moved into a villa near Arcetri, in the hills above Florence. He spent the rest of his life there. Galileo's daughter Sister Maria Celeste, who was in a nearby nunnery, was a great comfort to her father until her untimely death in 1634. Galileo was then 70 years old. Yet he kept working. In Siena he had begun a new book on the sciences of motion and strength of materials. There he wrote up his unpublished studies that had been interrupted by his interest in the telescope in 1609 and pursued intermittently since. The book was spirited out of Italy and published in Leiden, Netherlands, in 1638 under the title Discorsi e dimostrazioni matematiche intorno a due nuove scienze attenenti alla meccanica Dialogues Concerning Two New Sciences. Galileo here treated for the first time the bending and breaking of beams and summarized his mathematical and experimental investigations of motion, including the law of falling bodies and the parabolic path of projectiles as a result of the mixing of two motions, constant speed and uniform acceleration.